​When you are competing, your entire life must be dedicated to the process. There are no “cheat” days, and there are often times when you will feel ultimately deprived. Without a doubt, most of this journey takes place in the mind. “Mind over matter” is truly the key to narrowing your focus on your competition fitness goals. The constant reminder of what you’re working for almost always overpowers the desire to stray away from your meal and diet plan. 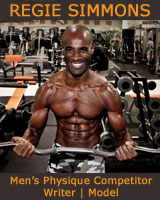 ​Another aspect of the physique competitor in competition is how he has to train. As men, we have become accustomed to “bulking.” Essentially, many men consider cardio (things like the elliptical, running on the treadmill, etc.) to be a woman’s workout. This is a stereotype that has to change when a man is entering competition. On top of a diligent weight and total body regimen, it is almost important for a man to spend ample time in the gym on the cardiovascular equipment. This way, men are able to become cut and defined, which will ultimately help them to a winner’s spot when the light is shining down on them on the competition stage. 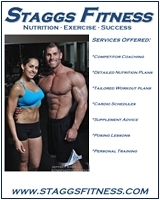 ​Nutrition is the most important factor for the male physique competitor. An average gym goer probably tries to make healthy choices... brown rice over white when you’re eating sushi, only a couple beers when you’re out with the guys, so on and so forth. The world of nutrition for the physique competitor is vastly different. The physique competitor must plan his meals in advance, cook them, and know exactly the time of the day he plans on eating them to best facilitate his metabolism. These are some important differences to note when considering whether you’re an average male gym goer or are ready to graduate to becoming an active competing male physique competitor!